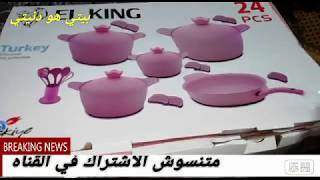 The طقم حلل جرانيت 9 قطع تركي Kitchenware is manufactured by 0 and was added around August 2017. This version of the Kitchenware comes in Color : Beige. The best price for the طقم حلل جرانيت 9 قطع in Egypt is EGP 1335 sold at Souq and available with free shipping and delivery within Delivery in 3-7 days.